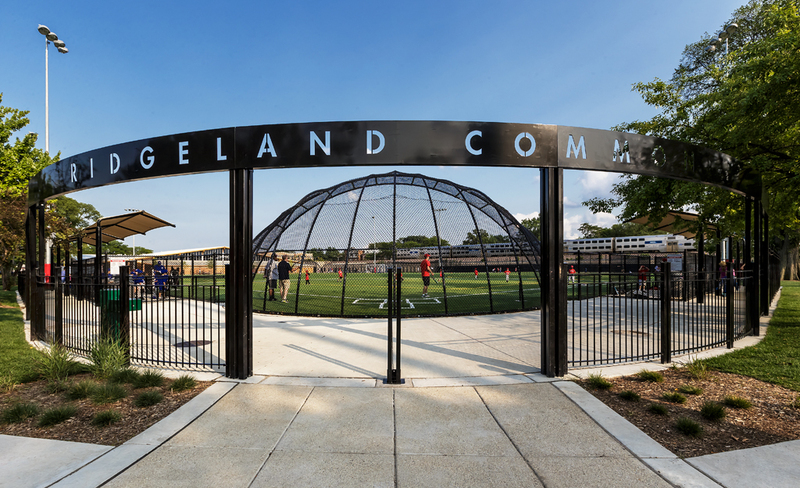 PMA is pleased to announce the completion of the new Ridgeland Common Recreation Complex. The project entailed a comprehensive renovation of an approximate six acre park and existing athletics building into the Park District of Oak Park’s flagship facility. A ribbon cutting ceremony was held by Park District officials to commemorate the completion of the $22.8 million project. Key features include a regulation size ice rink for year round use, a 114,000 square foot synthetic turf for outdoor sports and activities, an aquatics facility with a new kiddie pool, three activity rooms, office and support space, a new dog park, and associated parking areas.